TeSys D is the most popular series of contactors from SCHNEIDER ELECTRIC, a renowned manufacturer of electricity distribution and control apparatus. TME's assortment has just been enriched by 3-pole contactors with 240V and 415V AC coils. The offer also includes TeSys D contactors for 24V DC, as well as 24V, 48V, 110V, or 230V AC voltages. Due to their compact size, TeSys D contactors are easy and comfortable to install. 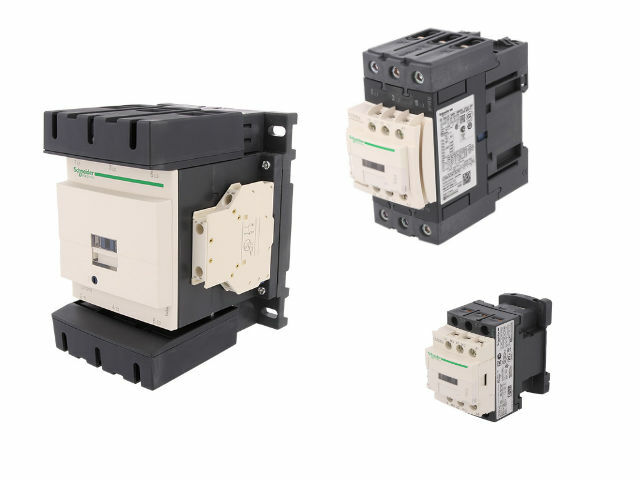 They have been designed taking into consideration international format standards, and manufactured in compliance with numerous global standards – thanks to that, the SCHNEIDER ELECTRIC contactors can be used in applications requiring universal, international compliance. We encourage you to check the full offer of TeSys D contactors available at TME.